Temper, temper!!! Throw caution to the wind and get your hammers out! 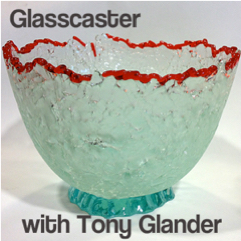 Tony shares his love of shattering glass, among other things.....like making photorealistic screen prints and having glassblowers do rollups and blow them out. And so, if you want to hear the artistic journey of a man for whom glass is a many splendored thing, you are in the right place. Listen now!